In this post, we will learn to setup Continuous Integration using Jenkins and Bitbucket. As soon as a commit happens on Bitbucket, it should trigger a Jenkins Job. To do this, we are going to create webhook on Bitbucket and supply it to a Jenkins job. This webhook will notify Jenkins about all new commits, information about the branch, commits that are made, etc. We did not find a short explanation about configuring Bitbucket with Jenkins. 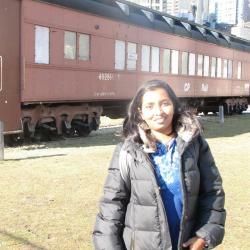 So wanted to consolidate that information in one post. This can be done under Manage Jenkins — Manage Plugins — Search for Bitbucket Plugin and install the same.To know more about the Bitbucket plugin,can have a look at https://wiki.jenkins.io/display/JENKINS/BitBucket+Plugin. Configure Bitbucket Repository under Source Code Management, along with credentials. On Bitbucket, go to Settings — Webhook — Add Webhook. 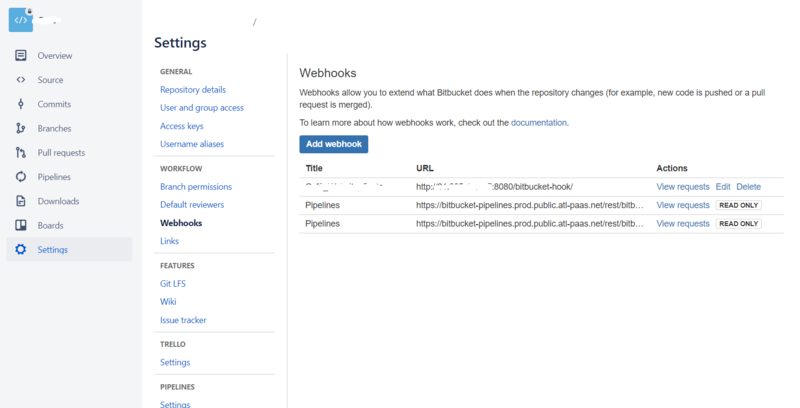 Add a Webhook, as above given in the picture.The format of the URL is http://<jenkins IP-address>/bitbucket-hook . The webhook should be active. So, click the option “active”. Under “Triggers” add “Repository Push” option and save the Webhook. NOTE: Trailing slash should be there at the end of URL. Make a change to your code base and push it to Bitbucket. 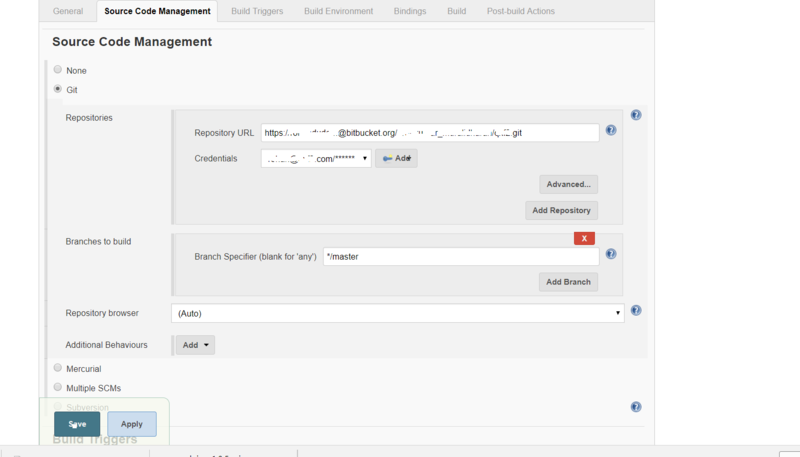 Check on Jenkins whether build gets triggered. On Jenkins, when the build is triggered by Bitbucket webhook, you can check the activity under BitBucket Hook Log. In this way, we can do Bitbucket Integration with Jenkins. If you liked this article, learn more about Qxf2’s testing services for startups. 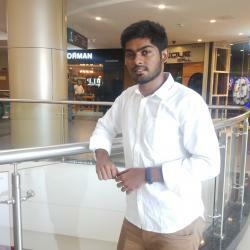 I have started my career with Networking Domain.Have 8 years of relevant IT experience in network protocol testing.Experienced in functional testing of various networking protocols and Device-specific features.I was involved mainly in Manual Testing, Writing Test Plans, Updating Release Notes, Documentation for the same.Mainly worked on L4-L7 Load Balancers, Application Accelerators, Application Delivery Controllers.After that, I was looking for Automation Testing and Remote Work Opportunities.I found Qxf2 is the right place.Learning Python,Automation Framework, Exploring New Tools for Automation.My hobbies are listening classical,non-classical music . First of all thanks for the article. I got a problem with the bitbucket webhook. I followed every step in your article. I commited and pushed to my configured git repository. It appears on bitbucket server. In the repository under Settings > Webhooks the status is ‘Never failed’ Success: x minutes ago. When I look into my projects Bitbucket Wehook Log on my jenkins-server there is no log. In /var/log/jenkins/jenkins.log there is also no hint on why it doesn’t work. Did you set Build trigger on Jenkins? to build every time a change is pushed?